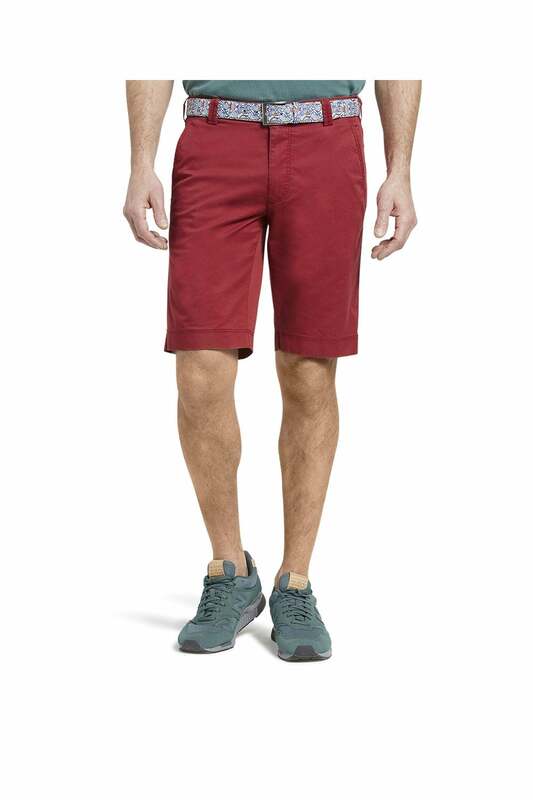 Embrace a classic short with the Meyer Palma chino sure to look great season after season. Made from a cotton rich fabric with a touch of elastane to ensure a comfortable fit. They are cut to be a regular fit with a straight leg and stretch waistband for when needed. Styled to a timeless 5 pocket design with slanted pockets contrasting floral lining and a printed belt in the eye catching liberty print to complete the look. Wear with a T-Shirt or short sleeved shirt and deck shoes for a finished look.